Astrophilately – The Australian Philatelic Society Inc.
Astrophilately is the area of Philately connected with astronomy and efforts to reach outer space, both manned and unmanned. Topics of interest include postage stamps, Cancellations, and Covers connected to various projects. Examples include rocket mail, dating from as early as the 1930s, and mail actually carried on space flights, a practice that began with Project Apollo missions, and has continued since then. 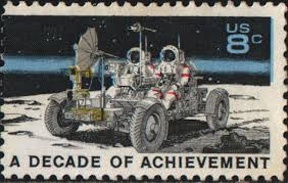 Specialists distinguish astrophilately from topical collecting with a space theme; astrophilatelic items are those with direct connections to space missions, whether or not they include any special pictorial depiction.